There are several steps in the furniture production process flow. 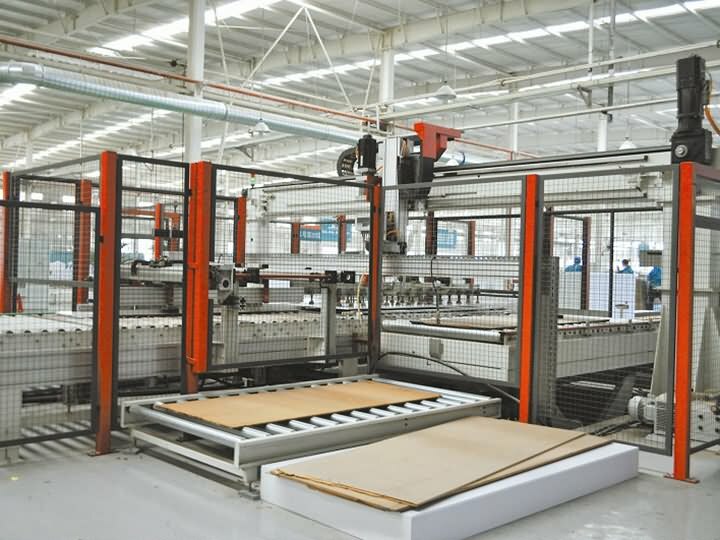 All process flow must be done in furniture production to get maximal quality and finally get satisfied from customer. There are several steps in the furniture production process flow. All process flow must be done in furniture production to get maximal quality and finally get satisfied from customer. Process flows become important to manufacture durable and quality wood furniture. The wood result of hewing we known as log wood, from this the furniture production process is started. The log wood will be distributed to sawmill. Swamilling is the first furniture production process of furniture. When on the swamilling process,a logs are split as according to required size. In sawmill area, split panels disjointed according to is thick and kind of wood so easy arrange in kiln dry. Before put in kiln dry, panel and block wood be placed first in outdoor in order moisture content will evaporate because of outdoor temperature. In order quality wood kept, at least 1 week after sawmill, the wood must be dried soon. The drying process (Kiln Dried) with specific heating system is a process in order to reduce the moisture content on the wood about 12 to 15%. All kinds of wood must be dried. Soft wood will easy crack in the process of drying quickly. Kiln dry process need 2 until 4 weeks, depend on specify of wood, panels thick, and room dry capacity. Good dry method is use the right equipment. It can minimize the risk of being broken and warped wood. This prosess is the important furniture production process. Spiling and cutting process is the first of component process. Here, the wood will be cut and split according size product that was needed with a CNC machine or cutter saw. Small block wood then be sent to plane machine or thicknesses to get final result with smooth surface without line saw. After planning, component be moved to drilling machine or pen machine (TENONER and MORTIZER) to get construction. If basically construction furniture production process of furniture finish, all component will the end in sanding process before assembling process. In the sanding process, all the components that have been processed. It will obtain the components that have been refined with the same size before assembling process. Assembling furniture production process of furniture is a assemble of components into finished goods. There some possibility component needs to be assembled before finishing, and there are only assembled after finishing. Commonly assembling process be done before finishing, in order when the product has smooth do not get defect because of scratch. Assembling one of them important quality key, mainly strength of product. This process need patient so glue usage enough proper and not excess. Beside that patch quality only can be repaired in this process. From all furniture production process of furniture, assembling is the relative long process and difficult. Finishing Process is the last manufacturing process of furniture. It is a process of layering wood surface with purpose to make beautiful and also protect furniture from insect attach or moisture air. Some type of furniture, finishing process easier be done before furniture be assembled. Out of finishing, products move to packaging area. In this area some accessories (key, handle, reel, etc) and other equipment patched again. Kinds of packing also depend on last purpose and level quality furniture. More expensive and more far delivery location need stronger packaging and more carefully. License: The text of "Furniture production process flow" by STYLECNC is licensed under a Creative Commons Attribution 4.0 International License.